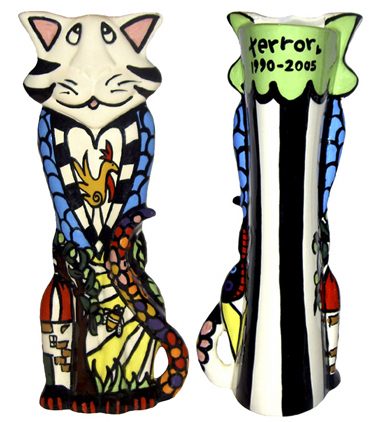 Artist Alyson Whitney creates ceramic urns for pets that reflect the joy that pets experience while they're alive as well as the joy they give us humans. 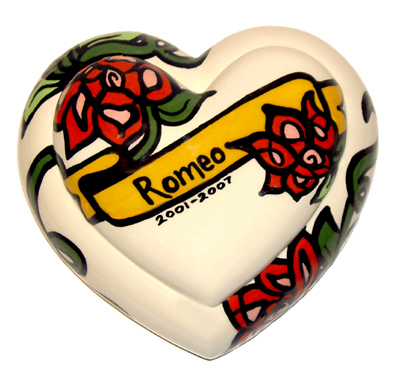 Her brightly colored palette, painting her unique urn designs with three or four layers of rich paint, are her signature marks. 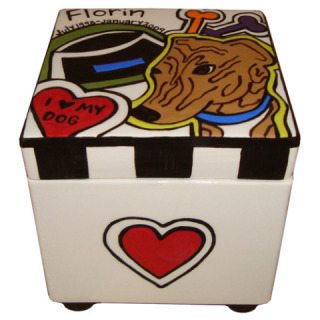 Though each pet urn is custom-made from the sculpting to the baking of the urn, to the painting of the urn, and the special impressions of your dog or cat, Whitney has some standard shapes to choose from. 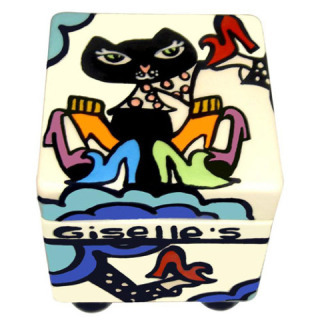 Here are a few of her designs dedicated to her own or to her customers' pets. I think you'll agree that they communicate the personalities of these pets. 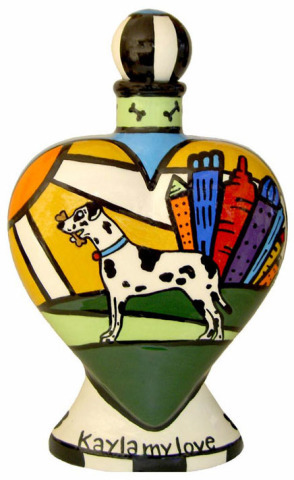 Visit Ms. Whitney's artistic custom pet urns, which she calls her "happy urns," as well as her other ceramic items for pets, at ChowTime Productions. Are 4 Front Wheels Better than 2 ? Star Trek Transporter Room Playset – Beam Me Up! Hi there, I apologize for not getting back to you sooner, frankly, I didnt know this posted - a friend of a friend told me about it. I'd be more than happy to let you know sizing of any of the urns. You can email me directly: alyson@chowtimeproductions.com and on my site there is sizing under each product on the view details page.